The President of Taiwan seeks expanded role for Taiwan in UN Agencies based on Taiwan technical expertise and strategic location. 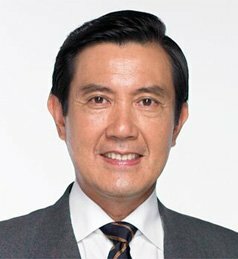 President Ma Ying-jeou urged ROC diplomatic allies to continue supporting Taiwan’s bid for an expanded role in specialized U.N. agencies, stating that this will enable the country to make a greater contribution to boosting global aviation and sustainable development worldwide. “Taiwan, with its strategic location and technical expertise, can be a valuable and constructive partner of the International Civil Aviation Organization and U.N. Framework Convention on Climate Change,” Ma said. Ma made the comments while receiving a group of permanent representatives to the U.N. from four ROC diplomatic allies at the Presidential Office in Taipei City. They were Collin D. Beck, Solomon Islands; Amatlain Elizabeth Kabua, Marshall Islands; Der Kogda, Burkina Faso; and Menissa Rambally, St. Lucia. Ma said since he took office in May 2008, the ROC government has expanded Taiwan’s participation in international organizations while maintaining the cross-strait status quo of no unification, no independence and no use of force based on the ROC Constitution and 1992 consensus. This policy, which represents the mainstream opinion of the Taiwan people, has created a virtuous circle, Ma said, citing examples such as Taiwan’s observer status in the World Health Assembly and its accession to the World Trade Organization’s Agreement on Government Procurement. The president expressed hope that Taiwan can participate in ICAO and UNFCCC activities using the WHA model, as such a bid has won backing from the European Parliament and U.S. Congress. “Even former mainland Chinese leader Hu Jintao said in September that Beijing will ‘seriously study’ the possibility of helping Taiwan secure ICAO participation in an appropriate fashion,” he added. Hu’s comments were made during a meeting with former ROC Vice President Lien Chan on the sidelines of this year’s Asia-Pacific Economic Cooperation Leaders’ Meeting in Vladivostok, Russia.The 1992 consensus is an informal, oral understanding that there exists only one China, inclusive of Taiwan and mainland China, with both sides agreeing to differ on its precise political definition.